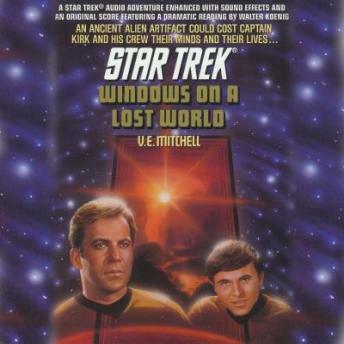 When Captain Kirk and a landing party from the Starship EnterpriseTM explore the ruins of an ancient civilization on the uninhabited planet Careta IV, they discover strange devices that appear to be windows. But the mysterious windows prove to be more than they seem when Kirk, Chekov, and two security guards enter them and disappear. Kirk and his team find themselves trapped in a strange alien environment and must fight with all their strength to survive and keep their sanity. Spock must locate his missing comrades and solve the window's ancient mysteries before his captain and crewmates are lost forever.